We teach TaeKwonDo, Aikido, Pentjak Silat & Tai Chi Chuan. Our mission is not to make you stronger or tougher than others, but to create warriors for peace. Click below to learn more about the Soengkono perspective. TO EMPOWER BOTH ADULTS AND CHILDREN IN OUR COMMUNITY TO BECOME MORE CONFIDENT, HEALTHIER, AND HAPPIER THROUGH HIGH-QUALITY INSTRUCTION IN SELF-DEFENCE, SELF-IMPROVEMENT, AND LIFE SKILLS. Hi, my name is Grandmaster Soengkono and I have trained and instructed in the martial arts of TaeKwonDo, Aikido, Pentjak Silat and Tai Chi Chuan for over 50 years. When I was a child, I began my martial arts journey and the positive impact it had on my life was remarkable. It was always my dream to someday own my own school, and when I opened Soengkono World Class Martial Arts in 1987, I made a commitment to our community in Thunder Bay to create an enjoyable environment for students to improve their fitness, while building confidence they can carry into their everyday lives. Our children’s martial arts program creates leaders. We do this by teaching the same values you teach at home. Our adult program is second to none. From traditional martial arts to more modern self-defense styles, there is something for everyone at Soengkono World Class Martial Arts. If you are looking to burn major calories, learn self-defense and get in the best shape of your life, you must come and check out our program. Machines and other fitness exercises bored me. I needed something to motivate me to exercise and stimulate me intellectually. As a child, martial arts shows intrigued me so I thought I could at least learn Tai Chi Chuan. Through Tai Chi and Qigong my health, strength, and flexibility improved. I am now able to climb stairs pain-free and learning to relax… Master Soengkono is a rare true Leader that continually brings out the best in all of us and gives us the guidance to improve each day no matter what we are doing. His teaching style effectively uses a combination of discipline and humour and you can see his teachings in his highly qualified assistant instructors… am 50 years old now and I will participate in martial arts in one form or another for the rest of my life… Fate drew me to the World Class Martial Arts School and has been more of an enriching experience than I ever expected. Life is a journey in which we learn many lessons. In fact, life keeps giving us the same lessons until we learn them. On occasion, we are given a guide or mentor to help us on our journey. Master Soengkono and his instructors are such guides. As a parent of a 12 year old boy, I had been looking for a physical activity that would help my son and I get in shape and develop in a positive manner. We started Aikido together about a year and a half ago and the experience has surpassed both of our expectations. We have been welcomed into the dojo and have been treated with the utmost of respect and patience. What I find most impressive is the emphasis on mental, spiritual and physical growth. Master Song takes the time to teach us about ways to be successful in life while also learning self defense. The values demonstrated and taught in the dojo include such things as respect for self and others, self development, the power of goal setting, the need for focus, positive reinforcement, personal accountability, hard work and team work. The end result of the learning about self defense is the enhancement of self esteem and increased life skills. Any parent wants this kind of positive experience for their child. Any adult needs these life lessons reinforced or learned. I have worked most of my life as a counselor and a manager in the field of mental health. I have worked with adults, children, youth and families facing a variety of problems. I believe that training in this dojo would help anyone, adult or child, who needs to learn to overcome life’s challenges. Master Song’s approach is to build on the positives and strengths in his students and to help them control and overcome their weaknesses. I have no hesitation in recommending Master Soengkono’s Martial Arts School. Tai Chi is an oasis in my hectic, hurried lifestyle. It is my time to recharge depleted energy and to regain a calmer disposition. Tai Chi is something completely different from other physical activities or fitness regimes. The environment is welcoming and inclusive of all ages and abilities. 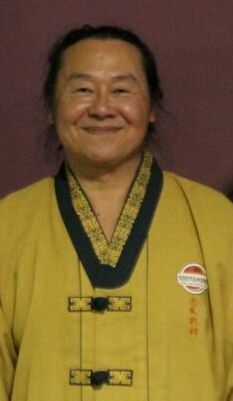 Master Soengkono is a gifted teacher who leads us in “movement meditations” that are truly opportunities for rejuvenation. I first met Grandmaster Song through one of his long time student Marc Heinrich who I met through work. As he knows that I have some martial background, he invited me over that night to his dojo & to meet his teacher. As soon as I entered the dojo, the feeling of such good energy came through me [I’ve been in the arts for 47 years on & off] that I seldom experience & I told it to Marc. Marc introduced me to the Grandmaster & we had a wonderful conversation regarding the arts & life in general. At the end of our conversation, he invited me to practice if I ever come back to Thunder Bay. Two weeks after our first meeting, I was sent back again to finish the work project. I told Marc that I’ll be there to take a class. When I arrived in the dojo, Grandmaster Song greeted me with his infectious smile & warm hospitality. His students were very gracious in accepting me & to practice with them. Adrian, the GM’s senior student introduced me to the class & showed me how they do it & was very helpful. Grandmaster Song’s precise way of teaching his students were thorough & with care. I came out of the dojo knowing that Grandmaster Song not only teaches the arts but also builds good character which I noticed through his students & I am proud to be one of them. This dojo truly is the hidden jewel of the north. Thank you again for the warmest hospitality that you have shown me as a man, a teacher and a great representative of your culture. When I first started training with Grand Master Song he told me that he teaches teachers. It took me some time to understand what he meant by that. It means, among other things, that teaching people only how to fight is insufficient, and that teaching people why fighting is sometimes necessary leads to greater skill, understanding and character development. From this perspective, the martial art becomes a form of conflict resolution, and each art he teaches – aikido, tae kwon do, pentjak silat, tai chi – is a different facet of that central idea. Grand Master Song also teaches that while martial arts training will certainly make students better at self-defence, the deeper and more important purpose of the training is to come to know oneself and experience personal growth. To do this, he teaches balance. If you are quick to judge, he will teach you to first observe without judgment; if you are shy, he will lead you towards self-confidence; if you are arrogant or vain, he will emphasize humility and respect for others. In mastering ourselves, he teaches, we come to feel compassion for others. I have certainly found training with Master Song to be a worthwhile experience, and would not hesitate to recommend his school to anyone. Our child has been taking Tae Kwon Do lessons since she was six and the benefits we feel are multifold. They include better health, knowledge of self-defense, and a stronger emotional and spiritual self. We very much appreciate also Grand Master Song’s positive approach to his teaching such that students are never fearful about making mistakes.  The result is that students feel committed to their chosen martial art and the enjoyment level is enhanced. One unusual and highly beneficial aspect of Grand Master Song’s school is the fact that it offers a range of martial arts training. There are a few martial artists who are experts in both Tae Kwon Do and other martial arts such as Aikido and Tai Chi as is Grand Master Song. We also appreciate the fact that Grand Master Song is accomplished as an individual outside the realm of martial arts, being a talented artist and someone who has several post-secondary qualifications. He instills in his student’s commitment not only to the physical, but also intellectual pursuits. Finally, as with all good martial arts schools, the focus is on determination, integrity and courage. these are the values the school strives to encourage and these are the values the school teaches can be incorporated successfully in the lives of all the students of the school regardless of ethnicity, gender, age, disability or any other such difference which under other circumstances unfortunately divides people. I have been fortunate to study with Master Song for almost 4 years. Over the months of learning Tai Chi under Master Soengkono, I have noticed greatly my improving strength, stamina, and mobility. My joints were very stiff due to arthritis. Climbing stairs was especially difficult in the morning – my worst time. Much to my amazement, I am now able to run up and down the stairs easily. In addition to the physical benefits, Tai Chi helps me to focus and reach an inner feeling of calmness. The hectic world is left behind as we concentrate on our exercises. Master Soengkono’s an inspiring teacher and I leave each class with a feeling of well-being and look forward to when we will meet again. If asked, the main reasons a person likely would give for joining a martial arts school would be either to learn self defense or to become physically fitter. But neither were the reasons I joined World Class Martial Arts. I’m probably one of the older students at World Class Martial Arts, but I’ve stayed in decent shape most of my life by going to the gym on a regular basis. As I’ve gotten older though, I’ve learned the hard way that a person can’t push the weights as hard as they could when they were younger. Injuries happen more often and they take longer to heal. And you start to become a lot stiffer and less supple. That was my main reason for becoming involved with martial arts. I was looking for a sport that would allow me to stretch and regain some flexibility. I don’t have a background in martial arts. This is all new to me. However, a long time back, and when I was much younger living in Toronto, I joined up with a Hapkido school. I really enjoyed the locks and throws and striking attacks of this Korean martial art. I’ve always thought if I could find something similar that I’d like to get back into it. However, nothing similar was available in Thunder Bay. Then one day last fall I happened to be reading the Key and learned of a new class that Maha Guru Soengkono was offering – the Indonesian fighting art of Pentjak Silat. This was a new one to me. Like most people, I had never heard of it. I was intrigued from the brief description about it in the Key. It sounded very much like what I was looking for. So I did some research and decided to join. More correctly, I was accepted by Maha Guru Soengkono (he’s selective about who he teaches). I started into the Pentjak Silat program shortly after the program began in the fall of 2010. As far as I’m concerned, it is one of the better decisions I’ve made. Not only did |I get a chance to learn a totally realistic and practical form of self defense, but I got the added bonus of learning about an entirely new culture, Indonesia, something I previously knew absolutely nothing about. Whatever your age or reason for wanting to learn martial arts, I can recommend wholeheartedly the programs offered at World Class Martial Arts. Come check them out. You will be impressed! My ten year- old son has been in TaeKwonDo for one year. He took an immediate liking to it and his enthusiasm has not waned. I have had the chance to observe some of the sessions myself, and I have learned a great deal. Clearly, TaeKwonDo teaches the students much more than the required physical skills. It teaches, among other things, the importance of concentration, discipline, self-control, patience and respect for self and others. The children respond well to the structure of the group and the ritualistic aspects of the experience. Often, these elements seem to be lacking in children’s lives in today’s rapidly changing and sometimes incoherent society. I am most impressed by the quality of the interaction between the instructors and students. The children are always treated with respect. They are taught and guided with a firm but compassionate approach. Criticism is always constructive. This process encourages learning, develops self-motivation and builds self-confidence. The TaeKwonDo instructors are excellent role models for their students. Overall, TaeKwonDo has been a positive experience for us and I would recommend it highly. My interest in Qigong (an ancient Chinese healing art) brought me to the art of Tai Chi Chuan. I train daily in the Tai Chi forms that I have learned from Master Soengkono, usually in the morning before breakfast and going to work. Not only do I enjoy the practice of Tai Chi, I am also enjoying improved focus, balance, grace, strength, and energy. These benefits carry over into other aspects of my professional and artistic life. They make me more open-minded and tolerant and at peace with myself. Further, I have experienced something exceptional on a number of occasions while practicing Tai Chi… an emotional and physical sense of lightness or bliss which I cannot express with words. I have known Master Soengkono since September 1997, and throughout that time I have been very impressed by him in every way. He is a calm, considerate man, very gentle with all his students, particularly the young ones. He patiently listens to everyone and helps anyone he can with whatever might be of greatest assistance to him or her. Just being in his presence is a wonderful experience since he constantly exudes a loving attitude. Some of his other characteristics are: warmth, intellect, honesty, honour, integrity, humour, and a caring attitude. I vouch for all the outstanding qualities of Song Yung Ren’s (GM Soengkono) character without hesitation. I would trust him under all circumstances, and much kindness and love toward everyone, no matter what. He is an impeccable human being and would not be deliberately mean or cruel to anyone regardless of the circumstances. Aikido is not about competition. There are no winners or losers in true Aikido. Rather, through training and technique practice with a partner, one can learn to blend one’s energies and efforts with others. While Aikido can be used very effectively for self-defense, its true benefits are realized outside the dojo in everyday life. Utilizing Aikido principles in daily life can help to avoid and defuse conflicts rather than create them. My sons and I appreciate the opportunity to study Aikido under such an accomplished and gifted teacher as Master Soengkono. First, I will begin with Master’s technical abilities, they are of the highest caliber. They are practical, efficient, safe and effective. His teachings to date have been consistent with everything I have been taught in the past, he does not deviate from his traditional teachings and maintains the Tae Kwon Do lineage and discipline which has been taught to him. Technical skills are important to the teachings of Tae Kwon Do, but one must also have the teaching skills too, he definitely has them. Master is a great leader and coach, he is right beside you doing drills with you and constantly pushing you to be your greatest. Master is constantly surveying the class, looking for negatives and positives, he will correct the negatives in private and praise your skills in front of the class. The definition of a mentor is, “a wise and trusted counselor and teacher”. He is a great martial arts mentor, but also a great life mentor and role model. He is an intelligent, personable and wise man; he is what every student should strive to be. He is constantly conveying his martial art, education and life philosophies, which happen to be pacifist and positive in nature. Master shapes and guides each of his students to be productive and conscientious human beings, which causes his classes to be nothing but positive and productive. I have seen him numerous times giving the children lectures on anti-bullying topics and engaging with them at the appropriate level. When I have children I will completely entrust them in Master’s capable hands. I have discussed at great length all of Master’s capabilities and philosophies as a teacher, but I also consider him to be a friend. There have been numerous nights where we have spent hours discussing life, martial arts and any topic that came up. He is genuinely interested in your well-being, mental health and physical health. I find him to be very approachable, friendly and have a great sense of humour. I know for a fact that Master has made me a better Tae Kwon Do practitioner, firefighter and human being. I guarantee that you will not be disappointed if you take any of his classes. Our son and young daughter have been enjoying Tae Kwon Do for some time. Grand Master Song along with his dedicated and skilled senior instructors provide exceptional training not only in the martial art form itself but also in self-defense. The benefits however extend far beyond the physical. The school instills traditional wisdom and values in students and blends this with modern strategies for self-improvement and achievement in any endeavor. Courtesy, respect, self-discipline and control are all reinforced. The Grand Master’s teachings sharpen the ability to focus and concentrate on any task and students are encouraged to achieve academically and to strive for excellence in all pursuits. In addition to the development of valuable life skills, we have witnessed a steady evolution of a quite inner confidence in our children. We genuinely appreciate the opportunity to participate in the technique and unparalleled experience offered by Grand Master Song. Please accept this letter of recommendation for the skills and experience of Grandmaster Soengkono who has made a very significant mark in Thunder Bay’s martial arts community. As a member of the Martial Arts Council Grandmaster Soengkono is part of the fraternity that has made us recognized as the Martial Arts Capital of Canada. His school has been a major contribution to this earned reputation. He has taught and inspired thousands of students (of all ages) in many disciplines of the martial arts attesting to his expansive knowledge and ability to cross-train. This is important because of the need to combine aggressive and passive uses of self-defense and defusing of belligerent behaviors. He is very much a leader and the kind of teacher who indeed practices what he teaches. Considering the scope of his community involvement (including PRO Kids), lifelong learning, and physical and mental fitness he is a stellar example of being what he inspires in others. I am fortunate to have known Grandmaster over many years and can verify his commitment to youth and to the betterment of our community. Without a doubt Grandmaster Soengkono excels in instruction and has demonstrated this attribute at the highest levels. Thus I do offer my name as a long-time practitioner of the martial arts and as the President of the Northern American Chen Tai Chi Association. I have known Master Soengkono for the past fifteen years. During that period I have attended his annual celebration dinner and met many of his students. The comments from students and parents relative to the instruction they receive in the martial arts is worthy of note. More importantly, the life lessons learned by the students must be taken into consideration. I am truly impressed with the caliber of his teaching methods, his communication with his students, the respect shown to him as an individual, the passion he leaves with his students and the benefits the students gain as an overall individual. His personal philosophy of life is carried through to his teachings and his work with his students. Many students return year after year and you can actually see their growth as young men and young women. We are fortunate to have an individual like Master Soengkono in our community who gives so much to develop young minds and young people. He also draws on his older students to achieve greater heights than they have done previously. I understand that Master Soengkono is extending his teaching to the police and security forces. They will be most fortunate to have him as a resource person and teacher. Since our two boys began training, I have attended the majority of their classes and the quality of the instruction they receive is outstanding. The teaching staff have a great deal of skill and talent which they are able to successfully impart to the students. Of equal, if not more, importance, I noted the emphasis that you and your instructors place upon self-discipline and respect both inside and outside the dojang. Appropriate, if notexceptional behavior is expected at home and at school. My children are receiving training in how to be successful, not only in martial arts, but in life. The skills they are learning promote high values, high standards, and high personal goals. They are encouraged to be the bestpeople they can possibly be. Their talents and hard work are always rewarded and praised and their shortcomings are never ridiculed. Soengkono Martial Arts School has significantly raised the self-esteem of both our children and is setiing the groundwork for an approach to life that can only result in success. master Song instills a great desire to excel in all aspects of life, and has a true talent for motivating his students. He is approachable, supportive, generous, and a lethal weapon. The best part of all is that he makes learning so much fun. I have made new friends and increased my level of physical fitness, while becoming more positive and confident in my daily life. I decided to study the Martial Arts initially to regain a measure of physical fitness and to pursue an art which was true to the traditions and philosophy of the Martial Arts. I found all of those things and a very great deal more studying with Grand Master Soengkono. His instructional focus goes far beyond that of the physical training, he strives to promote a sense of community, co-operation and teamwork, along with a strong philosophy of good citizenship and genuine concern for others, both within and outside of the school. He ensures that each student is made to feel at home and that they are part of the school. He ensures that each student can train to his or her ability, while promoting their strengths, and motivating them to improve on, and overcome their weaknesses. His school has provided me with a positive environment and has afforded me the opportunity to surround myself with positive people. I have made new friends and increased my level of physical fitness, while becoming more positive and confident in my daily life. In my formative years back in the late 80s, early 90s I was a student of Grandmaster Soengkono’s. At the time I was not a strong student in school and I really didn’t know what I was going to do with my life or career. I approached Soengkono Tae Kwon Do for the purposes of learning self-defense, however, I didn’t know at the time what a profound effect it would have on my life as a whole. Grandmaster Soengkono’s lessons were a process of self-discovery and confidence boosting that helped build a cornerstone for which many of my future achievements were built on. He imbued in me an indomitable spirit, that could never be crushed or taken away from me. Whenever I have had to dig deep in life, the seed that was planted has allowed me to believe in myself and carry on. I moved to the United States in 1998 and although I have not always found the time to continue with martial arts in my life, I did start my training again quite a few times, for quite a few years, with Tae Kwon Do and BJJ, and the fundamentals he taught me have always still been there. It is just like riding a bike. The lessons that were taught to me that had applications outside of martial arts though are the ones that I am the most grateful for. I have a 3-year-old now and I am hoping that we can find a martial arts teacher that might have a similar impact on his life. It would be hard to find one on the level that Grandmaster Soengkono is, Thunder Bay truly has someone very special there. I can speak from experience, having many different instructors in really big cities in the United States. I had some great instructors, however, none of them were truly like GrandMaster Soengkono. Confidence, integrity, optimism, self-control and most importantly leadership are only some of the traits he instilled in me. If you have kids or adolescents, I can’t speak highly enough about what he brought to my life. You can’t put a price on that. I started learning Aikido in 2003, and when I moved to Thunder Bay in 2006, I was very happy to discover a place where I could continue my training. Grand Master Soengkono’s dojo has exceeded my expectations. As soon as I walked in the door on the first day, I knew I had found a special place. Grand Master Soengkono has created such a positive, supportive, fun atmosphere at the dojo, and I always look forward to class. He is an expert Aikido practitioner, and his skill continues to amaze me whenever I see him in action. Not only this, but he is a superb teacher: he explains techniques in a clear way, and he seems to perceive exactly what each student needs, in order to build on their own unique strengths and take students beyond their individual limitations. he engages every student personally in order to make them feel a part of the class and at home in the club. His assistant instructors are also excellent. In addition, Grand master Soengkono leads by example in the personal arena: he teaches us not only about Aikido, but also about how to be a better person, and about the skills to succeed in life. I have learned so much from Grand Master Soengkono and look forward very much to continuing my journey with him and the other members of the club. I have had the devastating misfortune, the esteemed honor, and the haunting tragedy, of meeting many people who walk the path of life and death in this conflict-ridden world of ours. However, upon the fated occasion of meeting others amid the scenario of training I became remarkably aware of a person who by his gentle gaze and humble benevolence, exuded strength beyond that which I have ever experienced in any of my international moments. By chance our meeting had happened, or was it by fate, I was to embrace a learning experience beyond my prior remembrances? While in the presence of this venerated colleague I became clearly and respectfully aware that I had the honor of meeting in my life, one of the worlds, greatest disciples of combative technique understanding. My skills and techniques that I displayed in the presence of this unassuming and gentle man were absorbed, my words and thoughts were considered, and amid his vast background of experience based knowledge, he shared moments with me that I shall never forget… His words impacted my thoughts while the silence between us was deafening with long-ago reflections. After having written five books about the experiences of my life, and obtained two doctorate degrees, survived the worlds war zones, taught the officers of over sixty nations, I had suddenly and respectfully become the student of the humble, kind, and combatively insightful, Grand Master Song. Initially, I began studying Aikido with Master Soengkono as a type of respiratory therapy to aid in my fight with my Cystic Fibrosis. However, the benefits I have received encompass much more than mere physical improvement. Through Aikido, Master Soengkono has helped me erase the words “I can’t” from my vocabulary and replace them with “determination” and “achievement”. This has helped me not only in the Dojo, but in my overall health and wellbeing. Through Aikido, and the way it was presented to our class, I have been able to look at obstacles, both health-related and in my day-to-day situations, as challenges to be met and overcome. I look forward to my continued training with Shihan Soengkono and to the many achievements and improvements which will no doubt result from the skills which have been so graciously passed down to me by Soengkono Sensei. Master Soengkono Teaches with enthusiasm and humour, and manages to bring out the best in all his pupils. I have enjoyed Aikido training since 1994, and find it to be physically rewarding and intellectually stimulating. As a former Physical and Health Educator, I highly recommend Aikido as an outstanding way to practice a safe, efficient and educational form of martial arts. Quite simply, TAEKWONDO has been one of the best learning experiences in my son’s life. Grand Master Song and his instructors are amazing teachers and role models. They challenge every student to grow physically and mentally in an atmosphere of safety and mutual respect. They teach far more than physical strength and skill; they also model self-confidence, self-awareness, integrity and compassion. I am indebted to a friend who recommended these classes to us, and it is now my pleasure to pass on the recommendation to others. It is one of the best decisions we ever made. …A martial arts grand master in Thunder Bay who is also truly world class. He is the inspirational leader of the Soengkono World Class Martial Arts School…his credentials are impressive: 9th Dan Grandmaster in Tae Kwon Do, 6th degree black belt in Aikido and Jujutsu from Japan, a Grand Master in Indonesian Pencak Silat, was Combat Instructor to the Indonesian Army; SWAT and Riot Police, but it’s his approach and attitude in the classroom and that of his instructors…that provide an experience that is truly moving. He preaches the gospel of courtesy, respect, perseverance, mental focus and an “I can” attitude. His approach toward the teaching of Martial Arts combined with Life Skills could serve as a lesson that every student in Lakehead’s Faculty of Education should attend. We are most fortunate to have him here in Thunder Bay. I have known GrandMaster Soengkono through community organizations and his contributions to youth and adult members in the City of Thunder Bay. GrandMastser Soengkono is a strong supporter of the youth in our community as evidenced by the success and continued growth of his students who have attended the Soengkono dojo. I continue to be impressed with GrandMastser Soengkono’s integrity, work ethic, community spirit and his grace. It is an honour to know GrandMastser Soengkono and I do not hesitate in offering my full praise and support for GrandMaster with respect to future instruction expansion, particularly in the training of law enforcement. I have been learning Aikido from Grand Master Soengkono since 2009. I started with no experience in Aikido and very little in other martial arts, but the entire Aikido group from instructors to the newest members is patient, kind and encouraging. Learning in such a positive environment is a joy. No matter what type of person you are: shy, outgoing, intense or relaxed, as long as you are respectful, you are accepted. Not only do we learn open-hand, jo and sword techniques but we learn to laugh at ourselves, develop greater compassion for others, and build self-confidence. Grand Master Soengkono is particularly gifted in his ability to read people. He has a truly compassionate heart, and the wisdom and insight to know when to push a student and when to hold back. The things I have learned through Aikido and Grand Master Soengkono, about myself and about human nature are vast and wonderful; simple and yet profound. A slight change to a movement or technique opens up a multitude of opportunities. A concept, once grasped, clarifies and expands our points of view from the personal to the universal. Suddenly, we realize that Aikido is relevant to all aspects of our lives, from how we stand up for ourselves to how we treat each other, from conflict prevention to conflict resolution, and from developing personal goals to the journey(s) we take to achieve these goals. Grand Master Soengkono also brings an amazing combination of martial arts to his school. Not only does he teach Aikido, but also Tae Kwon Do, Pentjak Silat, and Tai Chi Chuan. When we learn Aikido, we learn it with a touch of Pentjak Silat. This training is unique to Grand Master Soengkono. It is Aikido plus this little something extra that we can pull out of our back pocket if we need it. Without a doubt, I have found training in Aikido with Grand Master Soengkono to be a phenomenally rewarding experience that has changed my life for the better. I could not give a higher recommendation for a martial arts school. I have been practicing martial arts for many years and here in Thunder Bay I had the rare opportunity to train in a Ryu (school) where the true philosophy and tradition of martial arts have been preserved. This dojo provided a peaceful, safe and respectful environment you can feel as you step inside. Master Song gave me the tools I needed to go on with my martial arts career. His unique skill and approach taught me more than just technique: with a contagious smile he welcomed me like a son, gave me his time and helped me to peacefully unify the body and mind. This journey took me to a higher level, both as a martial artist and as a human being. Master Song can feel each of his students and understand their levels. It helped me to breathe, walk and behave Aiki (harmonization of inner energy). His great experience is carried through all of his students and it’s a great honor to have been trained by master such as Grand Master Song. He leads by example, teaches with passion and is truly dedicated. Now I am returning home with new tools and the heart full of joy. Special thanks to Adrien, whose knowledge was way above my expectation. He is a spectacular communicator and a respectful man that I admire. Thanks to every student who shared with me this unspeakable passion that is Aikido, and who treated me like one of their own. Grandmaster Soengkono has without a doubt had an enormous positive impact on my life. Having trained under Grandmaster in Taekwondo since I was 8 years old, earning a rank of black stripe, I can attest to world class martial arts and self defence training provided by Grandmaster and his team. However, Grandmaster’s teachings go beyond the Dojang and into the classroom, the school yard, the office and life itself, and these are what I carry with me today. Grandmaster’s life teachings and character development principles made a lasting impact on me when I was young, first by fostering confidence and self esteem at a vulnerable age when I struggled with bullying and childhood insecurities were the norm. As I matured I began to take to heart the character principles Grandmaster teaches. Principles like integrity, perseverance, respect, modesty, and compassion. I have carried these teachings throughout my life and throughout life’s challenges and truly credit them to the person I am today. Grandmaster Soengkono is a phenomenal human being. I am blessed I was able to foster a relationship with him and I am honoured today to call him my friend. I wholeheartedly endorse the training and education provided by him and his team at Song Martial Arts. Highly respected and recommended the school, developing and challenging the student’s strengths and abilities, both physically and mentally. Builds self-confidence, discipline, concentration, fitness, while promoting modesty and respect. The students’ dedication, enthusiasm, and zeal are a reflection of Master Song’s gift as an instructor and motivator. As a parent, one only wishes the best for their children and when we decided to enroll our son and daughter in Grandmaster Song’s school of TaeKwonDo, it was a decision that was made with absolutely no regret. Although our children were only with Grandmaster Song for a short time, the values they learned from him and his instructors were second to none. He has shown them not only the physical skills that they required but more importantly, the ability to stay focused, increase determination and self-esteem and most importantly to respect themselves and others in and out of the Dojang. It was with great sadness that we had to say goodbye to Grandmaster Song and his awesome teaching staff as they truly are world class. They not only brought out the best in our children, but also made them feel as if they were part of a wonderful family which will be truly missed. Grandmaster Song comes highly respected in the TaeKwonDo community not only as an instructor but also as a person and his World Class School of Martial Arts is truly World Class. I would, without hesitation, highly recommend this school to anyone looking to enhance their way of life through the martial arts. My experience with the Soengkono World Class Martial Arts School has been a consistently positive and beneficial one. While I have noticed improvement and maintenance in physical strength, endurance, and flexibility, the benefits of my training have extended much further. The curriculum emphasizes consistent, gradual change, with the introduction of attainable goals in a well thought out progression. The instructors and fellow students are all very positive, and all students are made welcome. The school teaches the physical skills of TaeKwonDo, and students are successful in national level competition. More importantly, the school teaches morals and personal skills which lead to the life-long skills of self-discipline, self-control, and positive attitude. I have watched young students make remarkable changes in their behavior and attitudes over a period of time. All students are made to feel successful, regardless of whether they choose to train for competition, or simply learn a new pattern. For adults, the school offers a place where people of all physical abilities and skill levels can learn new skills from a true master. I have no reservations recommending World Class Martial Arts for anyone interested in the benefits of learning TaeKwonDo. I have been a student of Grand Master Song and his school for over fifteen years and his guidance and instruction have given me the confidence, skills, and abilities to complete my duties as a police officer efficiently and effectively given any situation. Grand Master Song teaches teachers. His careful attention to detail and hands on instruction with his students ensures that the essence and spirit of Aikido is transmitted directly from master to student. I am honoured to recommend Grand Master Song and his school for you or your child. Grandmaster Soengkono has been a disciple of the martial arts for over 50 years. An internationally recognized Grandmaster by organizations in Korea, Japan, Indonesia, China, USA and Canada, Grandmaster Soengkono was born in West Java, Indonesia. His martial arts career began in the legendary alleys of Bogor and Bandung, where racial discrimination was worst toward the non-natives. Grandmaster Soengkono has instructed courses in defensive and offensive tactics for the commando units in the Indonesian Army Special Forces and Special Police Department. He has given instruction to thousands of students around the world, and is a recognized expert in the use of many weapons. While his resume clearly shows him to be among the deadliest of men, he is also one of the world’s greatest advocates for peace and higher education as he is an engineer and is currently writing his doctoral dissertation in Business Administration. We'd love to hear from you! Let us know any questions you may have!